Getting a chance to travel around the globe and see amazing places in person can be quite gratifying. Most of us don’t have all year to travel. So when you do travel, you better plan ahead of time and get going with the right information to make each trip count. Stuck on Earth is a handy travel guide for iPhone that helps you discover amazing places to visit. It is a smart app that lets you choose the best locations and photos. Stuck On Earth is perfect for folks who have a limited time to travel. It has a smart algorithm that chooses the best locations and helps you plan your trips. 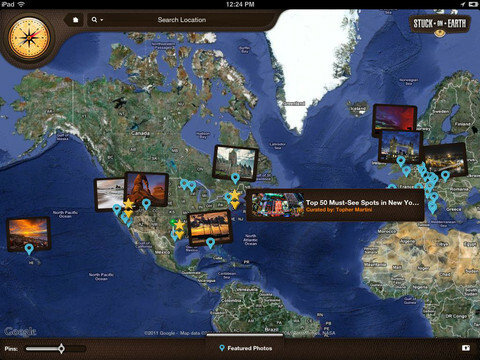 It has an interactive map you can zoom into to explore countries around the world. Whether you are a photographer, explorer, or just a traveler, this app has something for you. Stuck On Earth has a user friendly interface and offers your saved trips offline. It has a community behind it too. Users can submit their own geo-tagged photos to get involved. 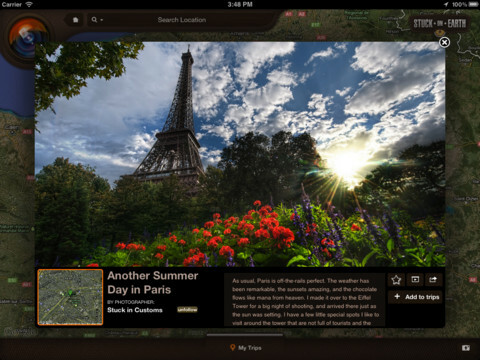 Stuck On Earth provides you with gorgeous photos and great travel ideas to enhance your experience wherever you go. The app is available for free at this time.